It was sunny out, and shirtsleeves sufficed. Union Square — the one in New York City —was its typical behemoth of eclecticism, and then one turns the corner onto 13th Street and arrives at Corkbuzz Wine Studio, and calm, if not reigns, then at least prevails, and there is chatter in the background, NY-area professionals seated at three long tables set for a meal, and on the long wooden bar, and in the undertones of sounds, is Bulgaria. Bulgaria has been producing wine for more than 7000-9000 years, back when the country was home to the Thracian people, and Bacchus-Dionysus-Zagreus was the god of wine and merriment. This merriment more recently found its way to Gotham, for a rare and impressive presentation of Bulgarian 14 wines from seven estates to a selection of regional wine buyers, restaurateurs, journalists, influencers and importers. As rare as it may be to find a Bulgarian wine in the north-eastern United States, it is perhaps even more so to find wine drinkers aware of Bulgaria as a producing country. Thanks to this three-course trade lunch at Corkbuzz on April 29 2015, organised by Colangelo PR and sponsored in part by the European Union, Greece and the Republic Of Bulgaria, a number of proselytes are now walking the streets. Wines tasted at the event came from estates in two of the five the major growing regions in the country : the Danubian Plain and the Thracian Lowlands (the other three are the Struma River Valley, the Black Sea and the Rose Valley). Course 1 of warm asparagus with soft boiled egg, brown butter and paprika crumbs was a fair match for the Izba Karabunar Misket 2014, the Vinprom Peshtera Pixels Sauvignon Blanc and the Izba Karabunar Dimyat 2014. 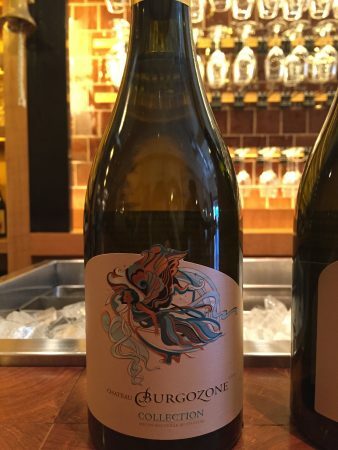 The olive oil braised octopus with olive panisse, piperade and tahini yogurt highlighted the depth of character of the Domaine Boyar DB Selection Traminer 2013 and the Chateau Burgozone Chardonnay Barrel Fermented 2012. In Course 2, the Katarzyna Estate Contemplation Merlot & Malbec 2013 underscored the savoury earthiness of a beet salad with warm goat cheese, and the Chateau Burgozone Cabernet Sauvignon 2012 and the Domaine Boyar DB Cabernet Sauvignon Reserve 2012 stood up to a dish of crispy pork belly with red lentils, pickled mushroom and sunny-side up egg. Course 3 set nettle pappardelle with spring mushroom ragu, parmigiano reggiano and crispy garlic against the vibrant Vinprom Peshtera Domaine Pestera Syrah and the Katarzyna Estate Encore Syrah 2013. The Edoardo Miroglio Winery EM Pinot Noir Reserve 2011 and the Vinzavod Assenovgrad “A” Mavrud Reserve paired deliciously with a dish of duck breast with celery root, spinach, mustard and currant jus. The rare-cooked herb crusted lamb chop with cannellini beans and artichoke was made even better when accompanied by the Vinzavod Assenovgrad “A” Mavrud Reserve and the Vinzavod Assenovgrad “A” Cabernet Sauvignon Reserve. 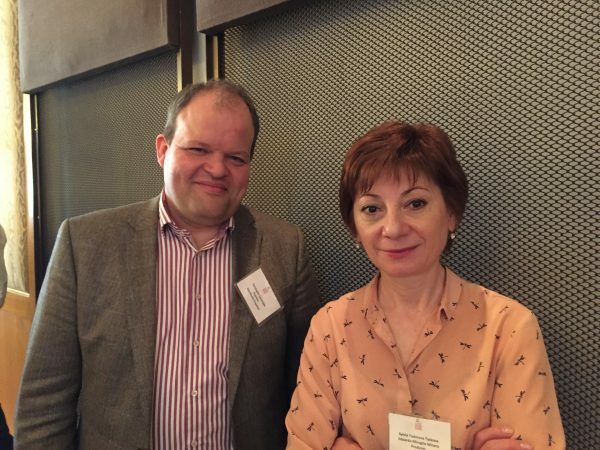 Edoardo Miroglio export manager Sylvia Taskova, at the lunch with her importer, Christophe Sepulveda, owner and founder of Texavino, told The Sofia Globe that her estate decided to start exporting to the States because it was a mature market and still growing. 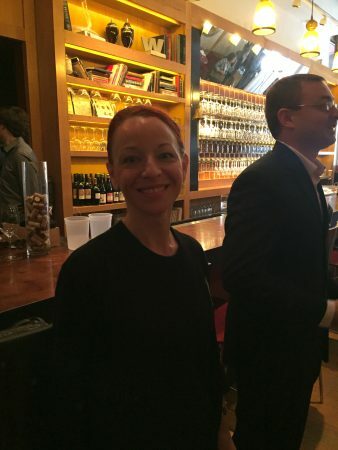 “I saw a lot of potential,” she said, acknowledging that better distribution and more publicity — such as events like the lunch — would help inform of the existence and presence of Bulgaria wines in the US. Texavino is the US importer for the wines from Edoardo Miroglio, Chateau Karabunar, Vinzavod Assenovgrad and Katarzyna Estate. Chateau Burgozone is imported by House Of Burgundy. , regional export manager Western Europe and The Americas at Vinprom Peshtera, told attendees that Peshtera’s young marketing team was behind its “cool, funky” labels. The winery also uses screwcaps on a number of its wines. 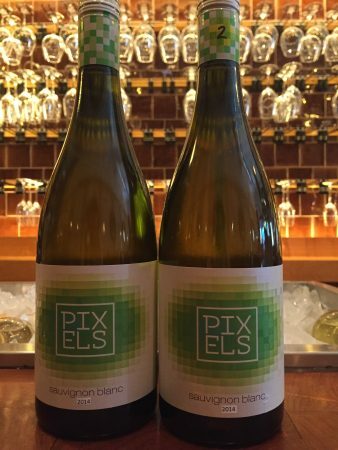 “We’re reaching towards a new generation of wine drinkers,” she said. Combine the solid quality and interest of native grapes with attractive retail prices, and the caché of having little-known wines on a restaurant wine list or on the shelves of a shop, and it would seem that Bulgaria is on its way to creating a niche for itself in the US.